Valentine’s Day is just around the corner. An entire day devoted to LOVE? No wonder kids get so excited! Love starts with family. We’ve put together some of our favourite activities for you and your kids to celebrate this special occasion in Metro Vancouver. Valentine’s events especially for babies, toddlers and preschoolers! Imagine an innovative work created specifically for infants! In this play, performers engage with the youngest of audiences, ages 3-12 months, using music, enticing visuals, and tactile experiences. When the show is over, kids and caregivers get to experiment with objects from the play right on the set – to have their own additional play experience. Looks like the snow could be here through Valentine’s Day! Haul out the snow pants and gloves, grab the toboggan or crazy carpet and head to your local park with the kids. Happening now until Feb 14, treat your loved ones to a unique chocolate-lovers dream! With 75 different flavours to choose from throughout the city, grab a map and hit the streets! With flavours like “Dazzling Mermaid” and “ for kids, or “Neither Sun Nor Rain” and “Great Balls of Fire” (alcohol-infused) for parents, this is a treasure hunt that’s sure to please everyone! 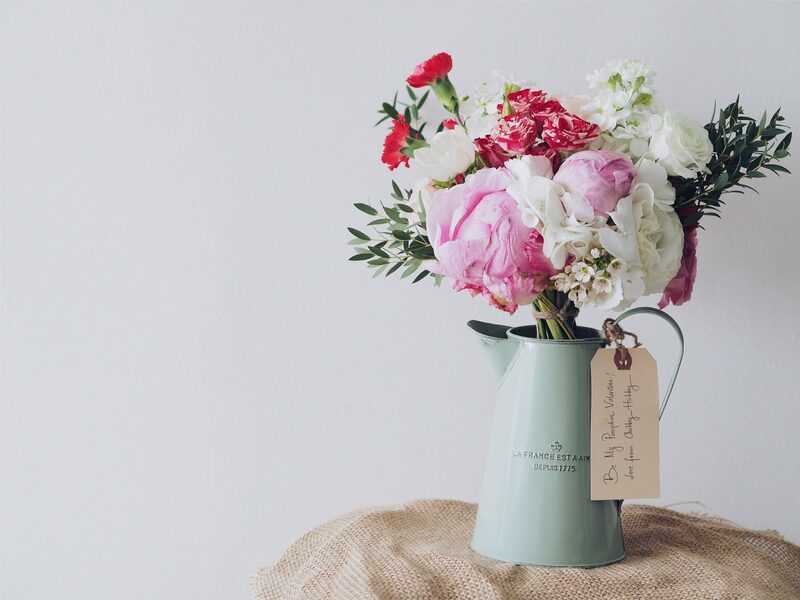 Whether you write poetry, design your own greeting cards, or make your own chocolates (or cookies) at home, nothing says “Happy Valentine’s Day” like a token of love and appreciation made-from-scratch. If there’s ever been a day to get sappy, Valentine’s Day is it! So spread the love, hand out flowers to strangers, hug your neighbour, make heart-shaped waffles for breakfast, or surprise a special friend! Take the opportunity to make someone’s day! Lace up your skates and hold hands in Robson Square (ice skating open until the end of Feb)! Bundle up and try snowshoeing on Grouse Mountain (rentals available)! 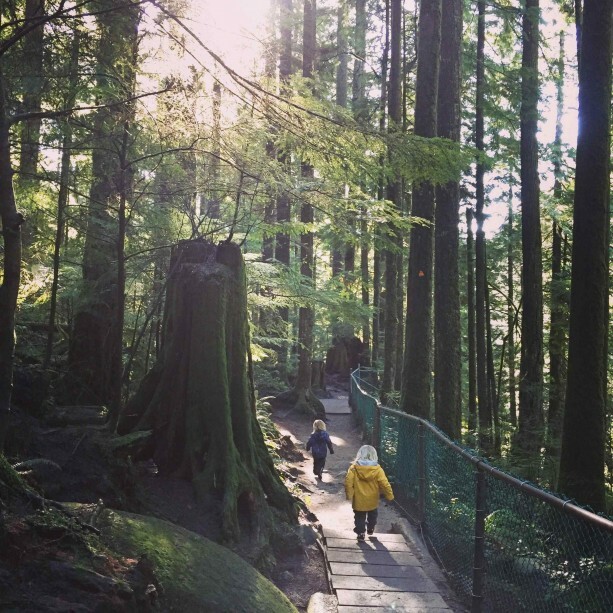 Pack a picnic and hike through Lynn Canyon (free), visit a local waterfall ! Vancouver cannot be beat when it comes to outdoor activities. The option are endless, rain or shine, so make some happy family memories! Does your toddler love trains even more than chocolate? 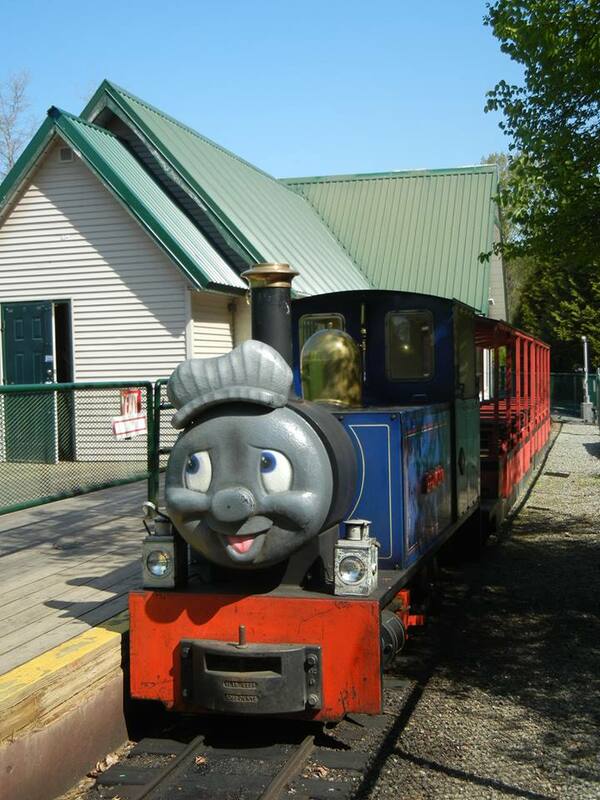 Bear Creek Park offers a Valentine’s themed family train ride from Feb 3-14, along with crafts and mini-golf! Eddie the Engine was brought to Surrey from England. He happily pulls his passengers along a ten minute ride through a tunnel and over a bridge before returning to the station. Open 10 am – 4 pm, admission is $7 per person. Stretch out those pinkies and share some tea at the Butter Baked Goods & Café. This quaint place is filled with sugar and spice and everything nice including homemade cookies and whoopie pies. The shop’s décor of pastels and pedals makes tea for two that much sweeter. Reserve ahead of time for a Sunday tea, and don’t forget to grab a You Know What cookie. The duck was the first animal my daughter learned about, and she’s been chasing them ever since. For a duck-filled date, head to Murdo Fraser Park in North Vancouver, Central Park in Burnaby or Queen Elizabeth Park (let’s face it there are no shortage of duck ponds around town). There’s plenty of parking along Elizabeth Way. Take a swing on the monkey bars, then head down the trail to the duck pond. Bring the gumboots in case of duck muck. Previous Post Snow babies (and kids) spreading joy to the gram!